One of the issues I see most often from users of the MK2s, MK2.5, and MK3 is bed adhesion. The majority users seem to have no issue getting prints to stick but others have an actual problem that can't seem to be easily solved by the normal day to day tips so hopefully this article will give you all the info you need to get better adhesion for those crazy prints you keep on printing. This article will try to conquer two things for those having issues with bed adhesion. The first will be how to get your bed properly setup the first time and the second will be making your PEI sheet the greatest bed surface you've ever had. Let's talk about the first time prep of your bed. So let's say you just setup your printer or perhaps you just replaced the PEI sheet on your bed because it's just time to do so and you're about to start your very first print but I'm here to say that you should take a minute to prep that bad boy before you put any filament down on it. Let's sit down and discuss a little science. PEI was never invented to be a printing surface it was in fact invited to be used in medical equipment due to it's high glass transition temp and amazing resistance to chemicals. You'll find very few print surfaces were specifically made for 3D printing so everything we know is from users testing and testing and testing some more. The reason PEI makes a great surface is that it's really difficult to get anything we commonly print with to actually fuse to it and can take the abuse of heat and repeated prints being yanked off. The only issue is that anything on the PEI between itself and the print becomes a release agent. AKA, something that will reduce it's ability to grip onto your print. Yes, glue stick, hairspray, talcum powder, etc is a release agent not a gripping agent so don't get confused by people who say to put glue stick on your PEI to add grip, that just means their surface isn't prepped properly and the plastic is adhering better to that glue than the PEI. If you just assembled or replaced your PEI sheet most likely it's covered in finger prints, grease, oil from the bearings, dust, and anything else that may have come in contact with it over time so it needs to be cleaned and cleaned well. Step 1, give the bed a scrub with Dawn dish soap or similar. Oils and grease are not easy to remove so let's break them down and make sure that they aren't present. Step 2, bust out the 90% or high Isopropyl alcohol and remove any of other particulates that are still present. Make sure you use a dry paper towel and not a shop rag or a fabric towel that may have fabric softener on it. Step 3, let's test print something. 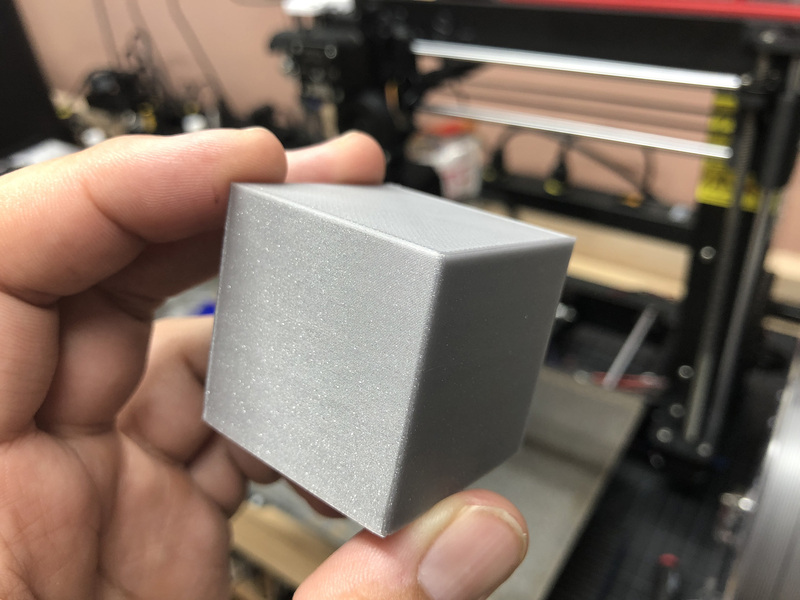 If you have a brand new printer and this is the first time you're running a print I suggest just using a test cube like this one. Print that cube in PLA and let the bed completely cool. While it's printing make sure the filament is sticking to the bed and not pulling up. The best way to guarantee a great a first layer is making sure it goes down slow. 20mm/s is a perfect speed to insure that it lays down the filament without possibly peeling some of it up as the print head moves around. I also recommend a first layer temp on any flexible metal bed to be 65C if you're using PLA. Once your bed is cool, or about 30C or lower, first note if any corners are coming up then see how easily the print removes from the bed using your hands. If it take a bit of force or won't pull of without flexing the flexible bed we have a winner. On the MK2s without the flexible bed carefully use a spatula to break the adhesion and be proud that your next prints will not just pop off causing a disaster of your hotend. So let's say you did all of this and no matter how much you clean the PEI sheet and you always get curling or the print pops off during printing. It's time to do something a little more drastic and you'll notice some of the best adhesion you've ever had. Go to your local hardware store and snag some 1000 grit sandpaper and get ready to scuff your print surface up. Yes, I mean it; you are going to put micro-scratches all over your print surface. But why? Because the bonus of PEI is that adding a little texture increases it's adhesion qualities AND it gives it a real refresh. Any time you just can't seem to get a print to stick anymore give it a scuff and believe me the adhesion characteristics get better. Now this isn't an everyday, weekly, monthly thing. I tend to do this about 1-2 months after initial use of the PEI sheet and then I'll never have to do it again. I'd recommended doing this no more than 1-2 times a year max. I don't mean scuff the area you are using the most, but a full bed scuff. Just enough to dull the surface. Do NOT sand it down to try and get it flat. Apply light pressure and give the bed a decently even scuffing. Immediately after scuffing the print surface go back to our initial cleaning regimen of dish soap and isopropyl alcohol. It'll remove all the PEI particles and any finger grease and such so we have a nice clean surface to print on again. Go try that 20mm cube or even one of my favorite test object the Cute Octopus Says Hello which is a little better litmus test since those tentacles can peel up if your surface isn't prepped well. From this point on your cleaning regimen should consist of 90% or better isopropyl alcohol after every few prints and industrial grade acetone, please don't use nail polish, every month or so unless you're really printing a whole bunch then it may need that acetone refresh every other week. 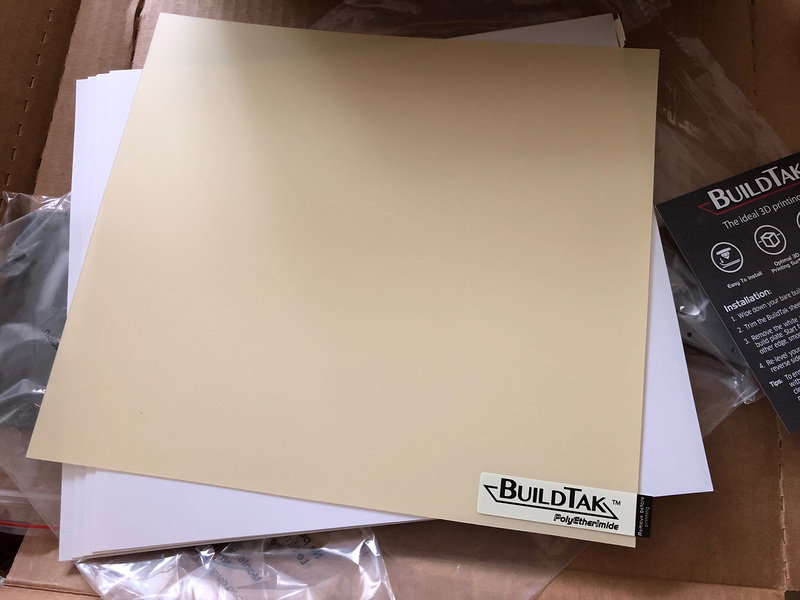 From here on out you should have a print surface that not only will last a long time and it'll be your most helpful asset in keeping those prints stuck to the bed. 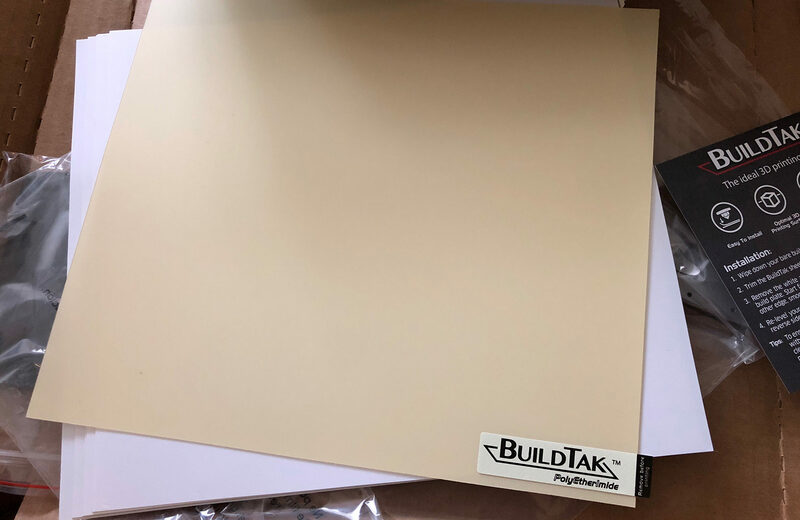 If you need a new sheet I highly recommend the Buildtak PEI since not only is it a thicker sheet but also uses Buildtak's easy to remove no mess backing so you won't have to use harsh chemicals to remove the old surface. Great information! I personally use the Techspray Techclean Maintenance Wipes (2364-50) for when I use the IPA to clean the bed. I have never had to use acetone (yet). I always make sure to wipe the bed down with IPA before every print. 91% works great, but next purchase of IPA will be 99%. Green scotch type scrubby sponge works too. You can get them at any grocery store. Usually they have a regular sponge on one side and the scrubber on the other. Use the scrubby side with very light pressure. I’ve never used acetone – just IPA for PLA filament and windex before PETG. If adhesion becomes an issue, I use the scrubby. Over a year on my current PEI sheet and it still works. Those do work as well. Good call. Never had problems with adhesion when printing PLA, but PETG, black from Prusa want stick. Just a tip: Best way to get rid of the 3M sticky glue from under the Prusa PEI is to apply peanut butter to it and leave it over night and after that just scrape the glue with the butter (may need to repeat the process). It’s about 20min of work in total (but takes 2-3 days since you have to wait for the butter to soak in the glue). NOTE: This is not my idea – I’ve found it on some forum while searching for ideas on how to get rid of that nasty 3M glue (but I can’t remember which forum was it and who posted it – but I thanl that person very much for that idea). As a fan of ‘overkill is my starting point’ as a lifestyle, I wonder how well brake cleaner would work over the long haul.